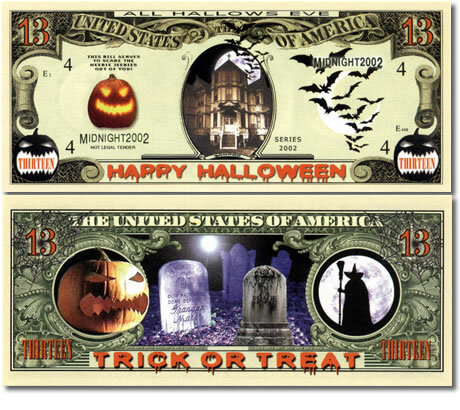 This fun and affordable Halloween Note features jack-o-lanterns, grave stones, and other spooky imagery that is sure to send a few chills into any banknote collection. These notes are not legal tender but are loads of fun. Add one to your collection today.